Coastal resorts that manage to retain their sense of cultural identity whilst still developing luxurious, top-quality accommodation for its visitors make the ideal locations for a memorable getaway. Cala Ratjada, located in the north-east part of Majorca, has accomplished this delicate balance for decades. It is the main site of activity in the municipality of Capdepera and is housed along a scenic, rocky peninsula. This beautiful resort is just a short drive from the Son Sant Joan International Airport, which brings millions of visitors from all over the world on to Majorcan soil each year. 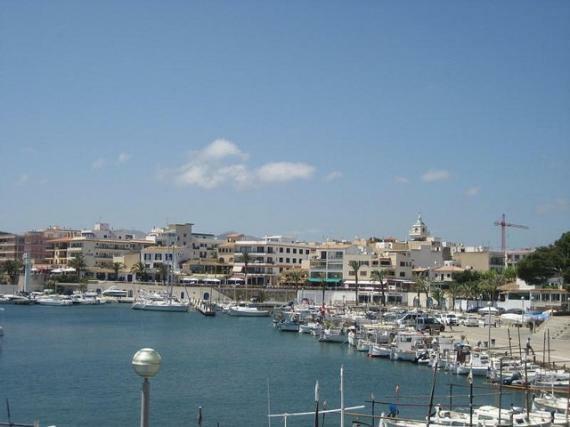 Cala Ratjada was primarily a fishing port for local residents until tourism began to pick up speed in the late 1960's. Since then, Cala Ratjada, translated as 'The Bay of Rays', offers stunning opportunities for new culinary experiences and unique exposure to marine life in the Meditteranean Sea. The original ports that made this region profitable for local fisherman still exist, although, they have been slightly modified to accommodate larger, more luxurious boats. The area has over 40 different hotels to accommodate every type of traveller. During the majority of the year, visitors of all ages and nationalities can be found enjoying the facilities that this location has to offer. However, the sun breaks and a cooler climate forms itself from the end of October through to early April. This brief shift in weather conditions attracts a considerable amount of elderly tourists who wish to make the most of their retirement and travel abroad, but who cannot handle the substantial amounts of sun during high season. Visitors to Cala Ratjada tend to choose this destination due to its huge presence of delicate, sandy shores that can be accessed either on foot or by boat. In total, Cala Ratjada has over 42 km of coastline that visitors are free to explore. Most of this consists of sandy coves where the wildlife, flora and fauna live in great abundance. The beaches themselves in Cala Ratjada are actually popular throughout the world due to the high quality of the sea water. The Blue Flag given for cleanliness, outstanding facilities and clarity of water has been awarded to the resort by the European Union. Busy beaches can be found just minutes away from the most popular hotels; the main one in Cala Ratjada is known as 'Son Moll', while those seeking a more private beach can head further north up the coast to 'Cala Agulla', 'Cala Mesquida' or 'Cala Guya'. Many of the local forests that overlook the beaches are well-protected and looked after, due to their unique ecological contributions to the area. Rare birds thrive in abundance, making this holiday destination popular among wildlife enthusiasts. Many people travel hundreds of kilometres just to get a glimpse of the thriving species in the island's protected bird sanctuaries. Find information about selected Hotels, apartments and rooms in Cala Ratjada to choose the perfect place for your accommodation.